Ray-Ban Wayfarer RB2140 sunglasses are simply the most recognizable style in the history of sunglasses. The Wayfarer distinct shape is paired with the traditional Ray-Ban signature logo on the sculpted temples. 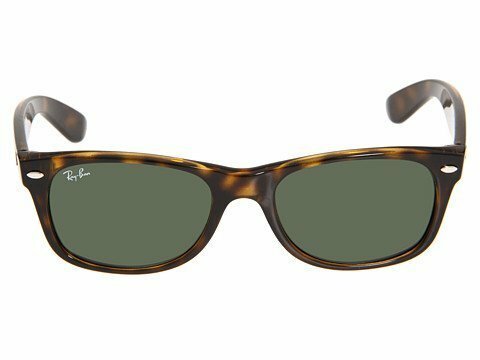 After its initial design in 1952, the Ray-Ban Wayfarer quickly endeared itself to Hollywood filmmakers, celebrities, musicians, and artists; solidifying its iconic status for years to come. The Ray-Ban Wayfarer sunglasses are available in a contemporary color palette allowing the wearer to express their own style and personality through this unmistakable look.